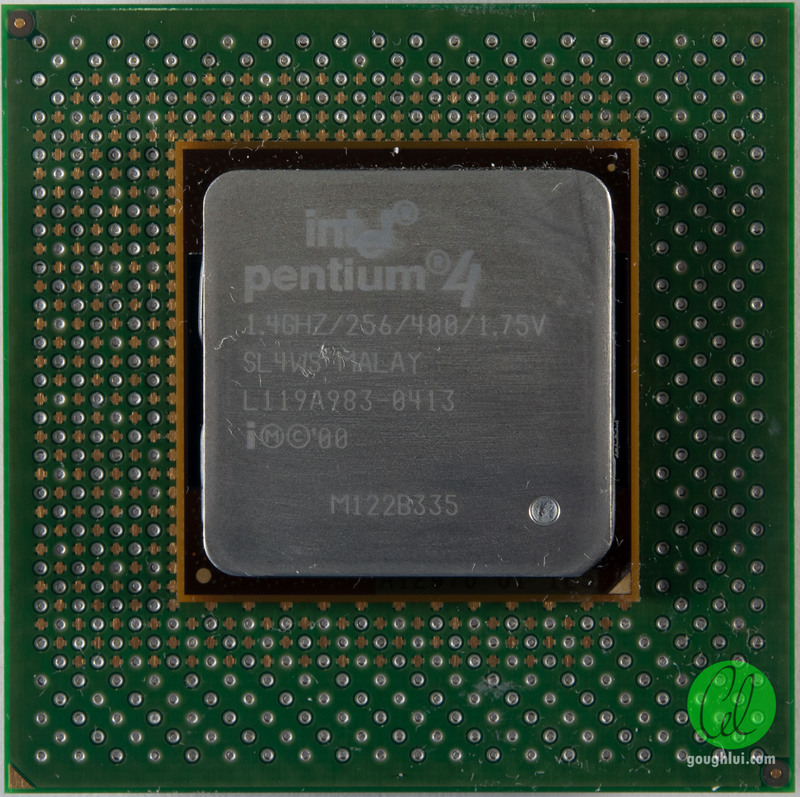 Socket 423 was not a long lived socket, lasting only 9 months before being replaced with Socket 478, but it did usher in the first series of Pentium 4 processors. This particular Pentium 4 chip was used in a desktop workstation/server, and characteristic of all Socket 423 CPUs, uses an “interposer” arrangement. 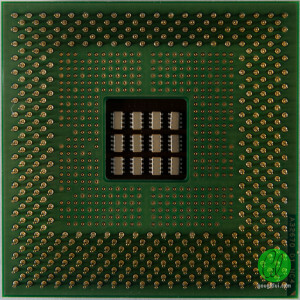 The chip itself has an integrated heatspreader and a substrate which is BGA and soldered down to the interposer (which is basically a BGA to PGA adapter). 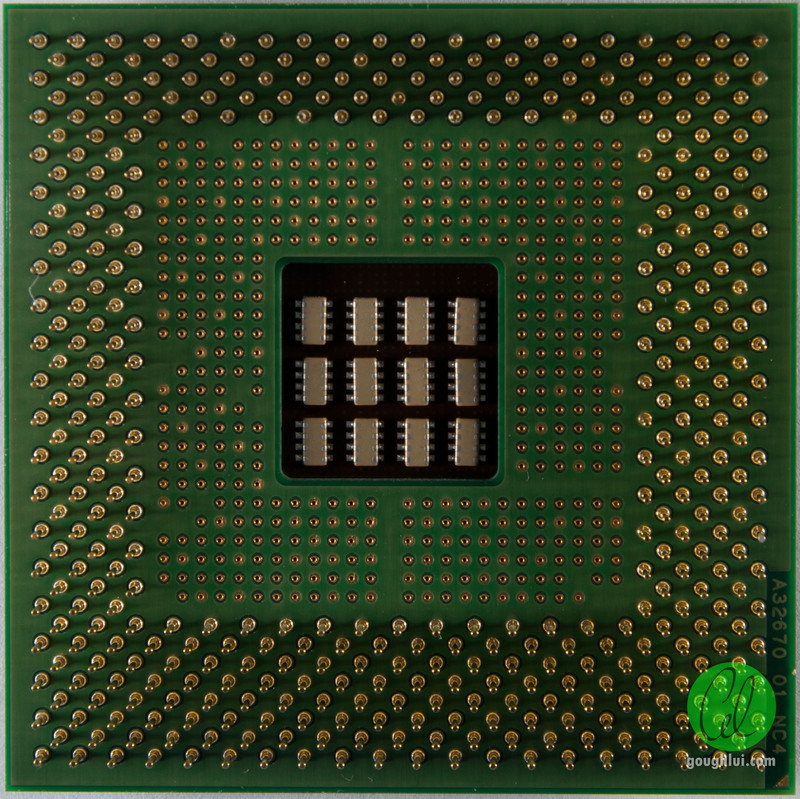 This arrangement isn’t particularly friendly to higher clock speeds, is complicated to manufacture, but does seem to imply the future – namely that of LGA CPUs.